Truck Driver Shortage Solutions: Could Your New Trucking Career Help End This Issue? There is a shortage of truck drivers delivering goods to stores and this explains why the prices of commodities are steadily rising. Trucking companies across the country are struggling to find interested and qualified drivers, especially for long-haul routes, forcing rates and wages higher. According to the American Trucking Associations, the industry was short more than 36,000 drivers in 2016. In June 2018, trucking costs spiked nearly 8%. About 90,000 new drivers are needed every year to meet the robust demand for trucking service and the shortage could be upwards of 100,000 or more. Why is there a Shortage of Truck Drivers? The driver shortage stems from a number of factors, including higher driver turnover rates, inflationary pressures, an aging workforce, increasing freight demand, reduced capacity as a result of regulatory changes, and lifestyle priorities that draw many individuals to competing industries. In addition, the ATA states that preceding drivers are retiring at a rate much faster than younger truckers are taking over their roles. Also, the increased production and output from American companies is increasing and this means that there’s an increased demand for truck drivers to deliver the goods. Industry experts fear the current shortage may nearly triple by 2026 if no meaningful changes will be achieved. Employers are offering more incentives than ever with the aim of encouraging truck drivers to fill unoccupied jobs. 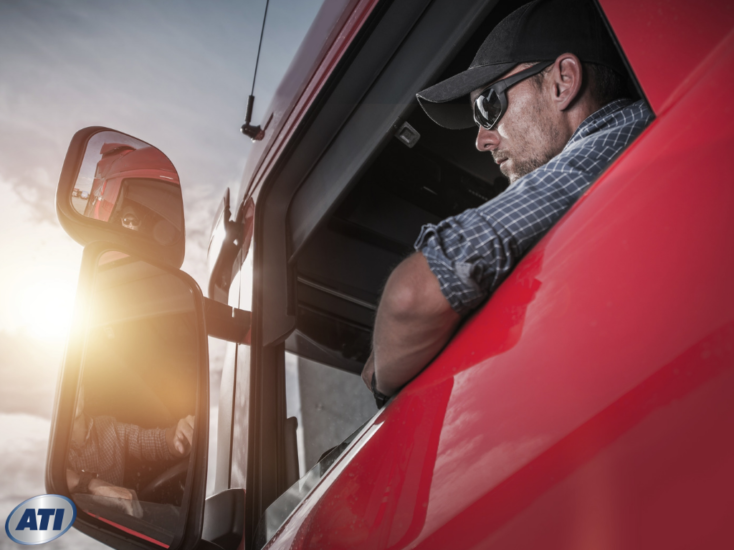 Many are offering signing bonuses while others are paying for the cost of licensing, especially if the trucker commits to driving for a minimum period of time. Each passing day, some amount of freight cannot be hauled because of a shortage of drivers and this is why many carriers are desperate for new drivers. If you want a job where companies compete for your services and where you’re valued, truck driving is an excellent choice. The shortage is expected to persist and this means that the conditions will probably remain favorable for those looking to get in and those already in the industry. As the driver shortage deepens, wages in the industry continue to rise as more companies respond to personnel shortages by increasing the pay. One of the primary ways that companies are addressing the crisis is by offering greater incentives to truck drives. Employers are offering sign-on bonuses to attract drivers, according to the ATA. Wages have jumped at least 10% over the last 18 months, yet, the pay is typically not enough to overcome the shortage and the aversion that many people have toward the rough driver lifestyle. With more CDL trained truck drivers being needed, more drivers retiring, and the demand expected to rise over the next several years, there will be more opportunities available and more job security for those in the trucking industry. If you want to be in the trucking industry and enjoy the benefits that come with the career, now is the ideal time to make your move. Job prospects for heavy truck drivers with the proper training are projected to grow 6 percent from 2016 to 2026. Many companies are having trouble finding and retaining qualified truck drivers with a clean driving record. Trucking has to keep up with the changes in the world. It might look like a job you can get started on with just a driver’s license and no prior experience, but obtaining formal education is important to this job as it can help you prepare for life on the road. While a degree is not required to become a truck driver, there’s a lot to learn and it’s not an industry you can join with just a high school diploma. You’ll need a Commercial Driver’s License, specifically a Class A CDL. With this, prospective employers know that you’re a qualified Professional Truck Driver, the training insurance companies increasingly insist upon, and can safely operate a truck with 26,000lbs GVWR. The license also means that you can operate a truck towing another vehicle weighing up to 10,000 lbs. A Tractor-Trailer driving Certificate can prepare you to meet the needs of the highway cargo. The written portion of the CDL examination provides information on substance abuse, driving safety, transportation of hazardous materials, operational procedures, vehicle maintenance, and trip planning. Such a program also should give you the proficiency in parking, shifting, and backing tractor vehicles during the driving module. At the end of the program, you’ll have been exposed to all the driving requirement and material necessary to obtain a Class A CDL. 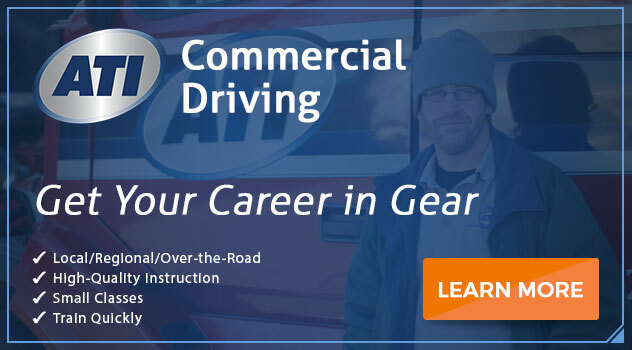 If you want to learn how to drive the big rigs, now is the time to get started and there’s no better place to do it than Advanced Technology Institute (ATI). Contact us today and speak to one of our admissions representatives. Previous PostMaritime Welding in Hampton Roads: Is there a High Demand for Welders? Next PostHow to Get a Welding Apprenticeship as a Maritime Welder: Facts You Should Know! What is it Like to Drive a Truck for a Living? What is it Like to be a Female Truck Driver? By submitting this form, I agree that Advanced Technology Institute may contact me via email, telephone, wireless phone, or text message regarding its programs and offers. I understand these calls may be generated using an automated dialer. Standard text and/or usage rates may apply. By this submission I understand that if I am outside the United States, I am consenting to the transfer of my personal data to, and its storage in, the United States, and I understand that my personal data will be subject to processing in accordance with U.S. laws. View more ATI videos in our Media Center.